This is the 2nd year that we have worked with District Eight Design for their booth construction in the IFFS 2016. From design to construction method, VS worked with our client to ensure that the sizes and colours matches their theme and with materials available in Singapore. With our experience to interpret our client’s drawings accurately, we were able to prepare in advance on what was required by our client. Setting was a breeze which was done within 2 days together with installation of track lighting by our carpenters and electrician which allow our client more time to setup their furniture and decorative products on display. With full support from VS, our clients are well ahead of time before the show starts! 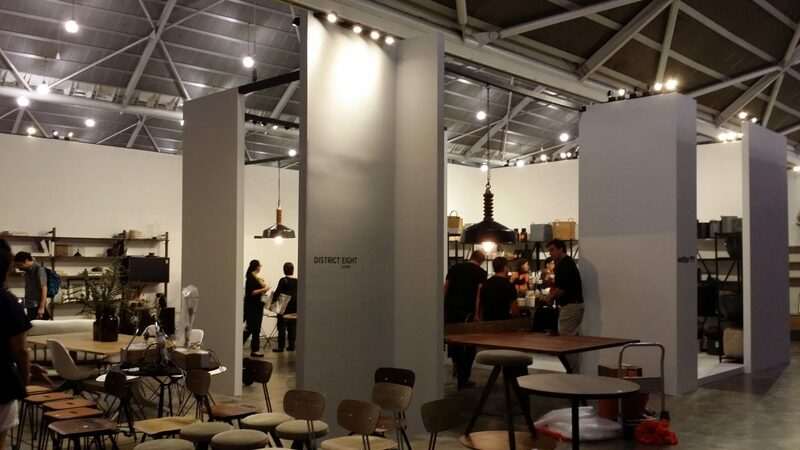 And with the creativity of our client, no doubt they have won the Best Exhibit Award for the Dining Room Category! This is the 1st year that CCST has participated in the IFFS and they have entrusted VS to construct their booth and management of their shipments from various countries. With just a sketch from the client, VS design team recreated the booth design in 3D visualization for submission to the organiser for approval of their design. We have advised our client on how the booth should be constructed to ensure stability as well as aesthetically. With our client’s eye for detail and creativity, he requested for a change of colours on the 3rd day of setup, adding more display platforms and adding of bamboo curtains to improve the booth’s visual appeal further. 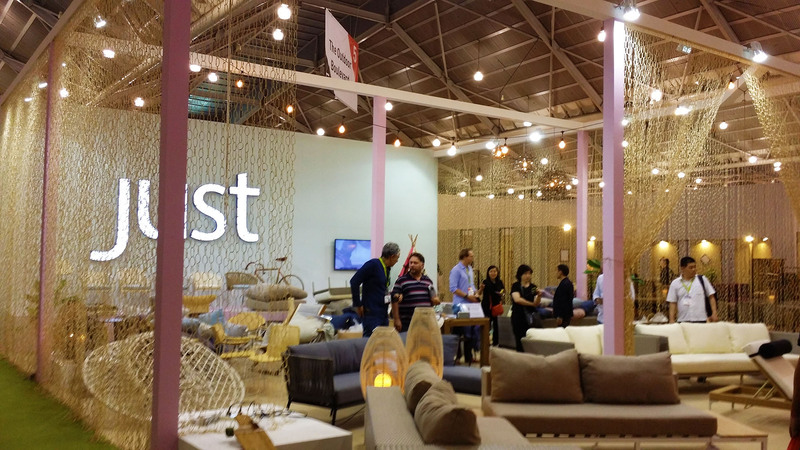 With strong support from the VS production team, we were able to complete the booth in time for our client to setup their furniture and products. Although the design was minimal, it stood out against other booths with ease and with the help of a strong lightbox branding! VS will continue to serve our clients with utmost pride in design, production and logistics management to ensure the setup is smooth and trouble free, allowing our clients to spend more time preparing for their product displays and most importantly to project the company’s image to their clients! To learn more on our exhibition services and portfolio, please visit www.tradefairevents.com for more information click the button below to get in touch with VS!